When choosing life insurance from a company, make sure the insurer has a proven record of trustworthy and quality services as well as efficient customer services. With life insurance, some of these enterprises may require information about your health before you sign up with them. They demand a medical exam. Some prefer to rely on the questionnaire you filled in about your health. By taking out a life insurance policy now from one of these providers, you will be able to ensure the wellbeing of your family when you as the breadwinner are no longer there. General Information – What is Life Insurance and How Does it Work? With Life Insurance, you’ll pay a certain amount each month to the insurer. The premium you pay will depend on the payout you want after your death. Once you die, your insurer will pay out the specified sum to the person who is known as a beneficiary. This amount is tax-free. You can use this amount however you wish. Adequate life cover will allow your family to live the kind of life they lived while you were still around to provide for them. If you don’t put down the names of beneficiaries on your life insurance policy, the payout you receive won’t get distributed the way you would have liked. Lawyers will then decide what to do with it, and it could take years to pay out. Once you know who your beneficiaries are, you’ll need to allocate each one a portion of the payout. General Information – How Much is Enough? You can apply for life insurance online or over the phone. 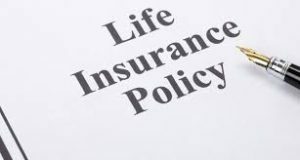 You can always compare quotes and products from life insurance companies in South Africa. You can choose life insurance cover up to certain limits, depending on the life insurance company. You may want R10 million life cover paid to your beneficiary, or you may have R4 million dread disease cover which will protect you if you suffer from a dread disease such as cancer. That is a reason why it is important to research and compare life insurance companies – they all differ. Some will only allow you to apply if you fall within a certain age bracket, and their cover options may be far less such as being between R50 000 up to R1 million cover. You can’t say which life insurer you can conclusively call the best. Their products differ and you’d choose the one which is best suited to your unique circumstances. Each of these companies products are evolving, and this is because they have to remain one step ahead of the competition. Look for an independent adviser, one who has no vested interest in any of the life insurance companies and who can honestly advise you on the pros and cons of each.